Adobe Photoshop 6 used to create layout. Editpad was used to create XHTML and CSS and WS_FTP LE used to upload. Tested in Mozilla Firefox 1.0, Internet Explorer 6,a nd Opera 8.5. Fonts used were Fairfax Station, Fleurons and Verdana. 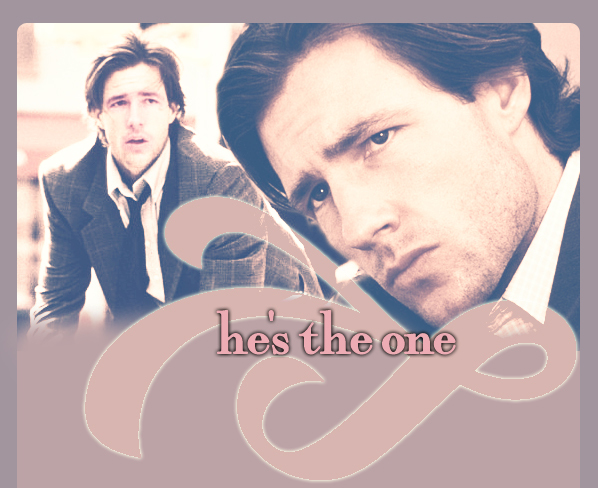 He's The One: The Fanlistings Network listed Edward Burns Fanlisting © 2005-2019 Lee. Layout and Content © Lee. This site is not official and is not endorsed by Edward Burns, his representatives, friends or family in any way. Fanlisting originally owned by Bee. Fanlisting adopted out on March 28, 2005. This is the last version of the fanlisting after it was adopted out to me. These are the previous layouts of the Edward Burns fanlisting from the previous owner, Bee.